Most companies' change initiatives fail. Yours don't have to. 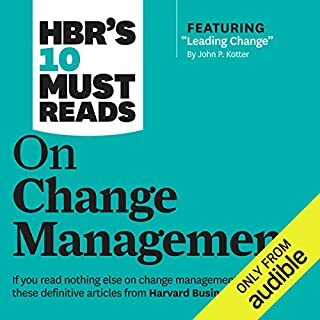 If you listen to nothing else on change management, listen to these 10 articles (featuring "Leading Change" by John P. Kotter). 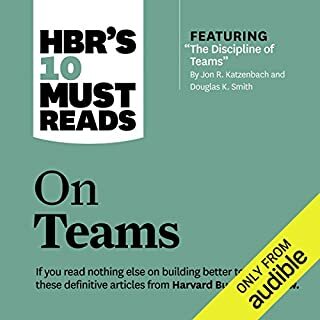 We've combed through hundreds of Harvard Business Review articles and selected the most important ones to help you spearhead change in your organization. In his defining work on emotional intelligence, best-selling author Daniel Goleman found that it is twice as important as other competencies in determining outstanding leadership. 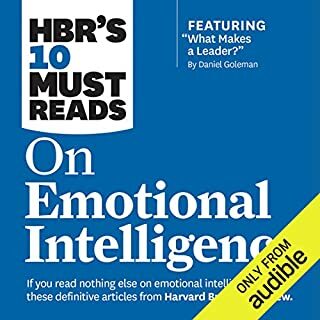 If you listen to nothing else on emotional intelligence, listen to these 10 articles by experts in the field. We've combed through hundreds of articles in the Harvard Business Review archive and selected the most important ones to help you boost your emotional skills - and your professional success. The best leaders know how to communicate clearly and persuasively. How do you stack up? Leading experts such as Deborah Tannen, Jay Conger, and Nick Morgan provide the insights and advice you need. 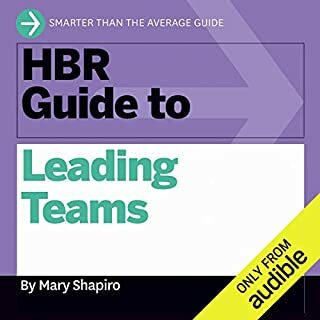 Written by team expert Mary Shapiro, the HBR Guide to Leading Teams will help you avoid the pitfalls you've experienced in the past by focusing on the often-neglected people side of teams. 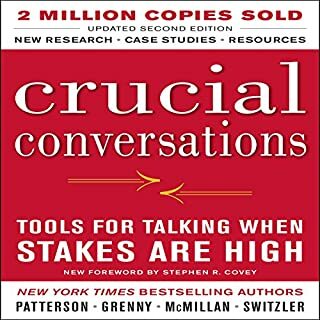 With practical exercises, guidelines for structured team conversations, and step-by-step advice, this guide will help you pick the right team members; set clear, smart goals; foster camaraderie and cooperation; hold people accountable; address and correct bad behavior; and keep your team focused and motivated. If you listen to nothing else on inspiring and executing innovation, listen to these 10 articles. We've combed through hundreds of articles in the Harvard Business Review archive and selected the most important ones to help you innovate effectively. Brilliantly written & conceptualized !! 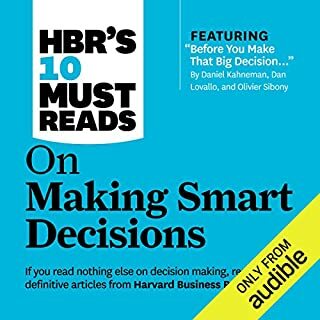 New from the best-selling HBR's 10 Must Reads series. Stop pushing products - and start cultivating relationships with the right customers. 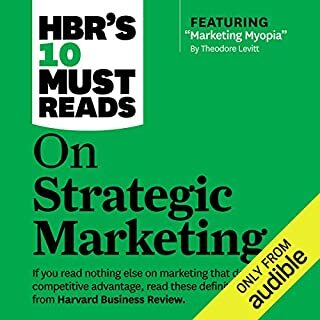 If you listen to nothing else on marketing that delivers competitive advantage, hear these 10 articles. 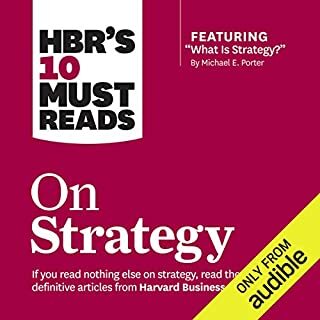 We've combed through hundreds of articles in the Harvard Business Review archive and selected the most important ones to help you reinvent your marketing by putting it - and your customers - at the center of your business. Good coaching is a skill that requires a depth of understanding and plenty of practice if it is to deliver its astonishing potential. 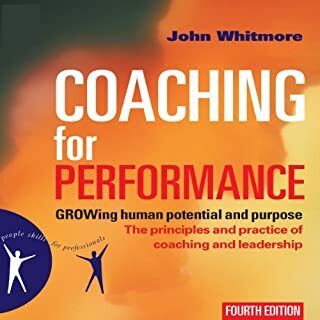 This extensively revised and expanded new audio edition of Coaching for Performance clearly explains the principles of coaching and illustrates them with examples of high performance from business and sport. It continues to follow the GROW sequence (Goals, Reality, Options, Will) and clarifies the process and practice of coaching. An Enjoyable but very invasive read! 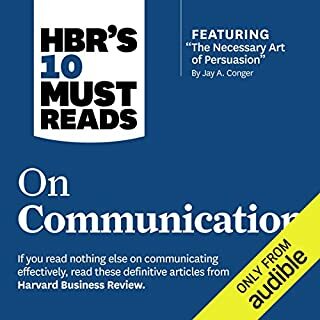 If you listen to nothing else on leadership, you should at least hear these 10 articles (featuring "What Makes an Effective Executive" by Peter F. Drucker). 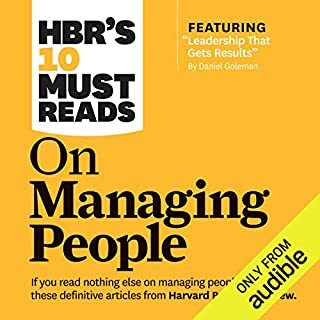 We've combed through hundreds of Harvard Business Review articles on leadership and selected the most important ones to help you maximize your own and your organization's performance. 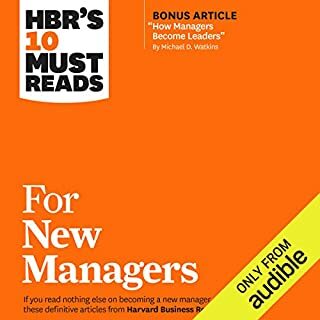 This collection of best-selling articles includes: featured article "What Makes an Effective Executive" by Peter F. Drucker, "What Makes a Leader? 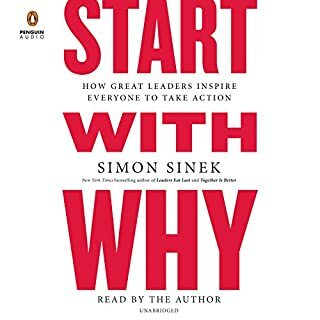 ", "What Leaders Really Do", "The Work of Leadership", "Why Should Anyone Be Led by You? 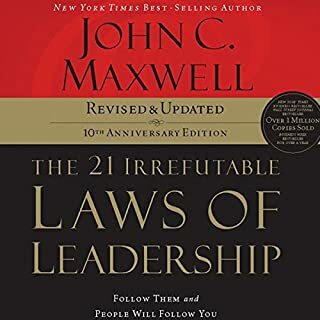 ", "Crucibles of Leadership", "Level 5 Leadership: The Triumph of Humility and Fierce Resolve", "Seven Transformations of Leadership", "Discovering Your Authentic Leadership", and "In Praise of the Incomplete Leader". 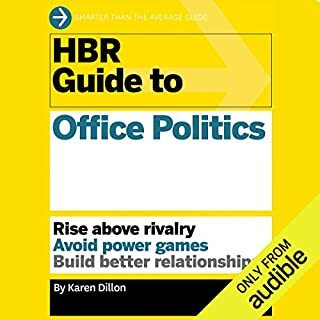 ©2011 Harvard Business School Publishing Corporation (P)2015 Audible, Inc. I did not like just putting a bunch of articles together that had lots of buzz words and examples and minimal research. The articles selected are interesting. I found I had read a few of them before but it was fine to listen to the repeats again. My biggest complaint is the lack of distinction between articles. I wanted them to sort subject matter into groups or more distinctly state the title. The switch between narrators was fine, but after a few articles, I lost track of which one I was on since some of the subject matter bleeds together. Overall, it was fine but I wouldn't go out of my way to listen again. A hodgepodge of articles that make lots of secondary assertions (often conflicting) without sufficient background. a little arrogant in the approach. I loved how easy it was to follow. Very useful information and very applicable to day to day leadership scenarios. 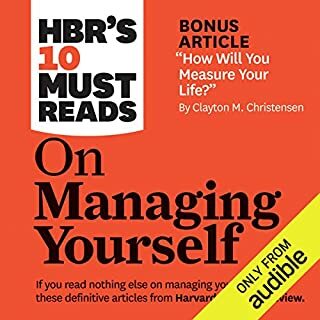 Would you listen to HBR's 10 Must Reads on Leadership again? Why? Yes, I have listened to it 2 or 3 times already. The articles are great, short, to the point, and provide value. This is worth your time to listen to. Packed full of gems of insight, delivered in an engaging way. In my opinion what makes this unique is each piece is written with a sense of authenticity and respect for the readers time. In other words I learned how these leaders have all tamed their egos in a way that resembles each other - even though their content, opinions, and perspectives waver. This is why I recommend this purchase. Relevant to level of management! Loved it! It covers a verity of leadership aspects. can provide strong tools for managers who take leadership seriously! 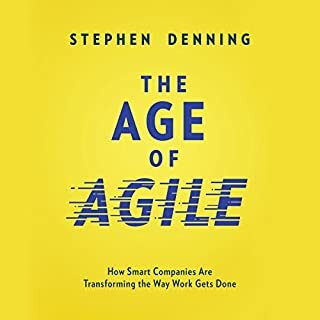 I like listening to this audiobook as it provides very practical principles on leadership. Very well written. 3- Faire le point en nous rassemblant. Un cercle plus élitiste ? Remarque : il faut acheter les textes ; il sont disponibles sur Play Livres. Personnellement je suis sur ma tablette ce que j'écoute sur mon téléphone (androïds).